Bugatti was the first car manufacturer to recognize the market for eyeglasses as luxury accessories. 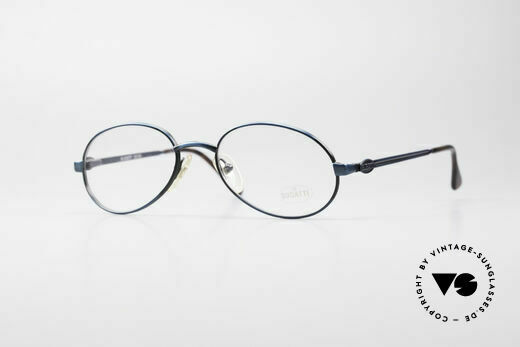 As early as the late 1960s, Bugatti designed the first eyewear models whose design was as unique and unmistakable as that of the Bugatti sports car. The "Bugatti drop shape" became the trademark of all glasses and sunglasses. With this, Bugatti orientated itself on the radiator shape of the luxury cars, which is always drawn downwards. This idiosyncratic glass shape of all Bugatti frames was designed exclusively for a male clientele and even seemed somewhat sad on some faces. That is why opticians often called the old Bugatti glasses "tear drop shape". But although the Bugatti collection consisted exclusively of men's eyewear and the design hardly changed over decades, the "tear drop shape" sold extremely successfully. 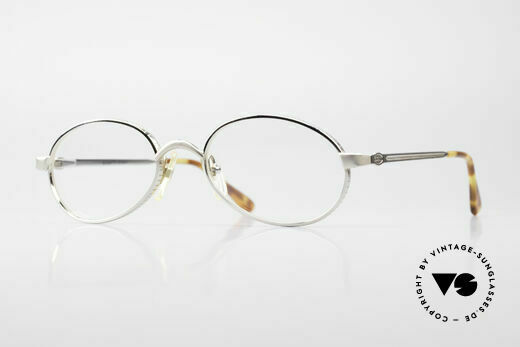 Even female customers enjoyed this original form and turned men's glasses into women's glasses. However, the fact that Bugatti has always remained true to its design is not the only reason for the success of these vintage sunglasses. Bugatti also managed to combine the unique selling point of the shape with outstanding quality and ingenious design details. 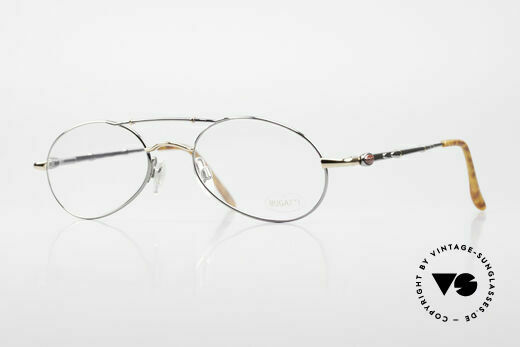 Bugatti initially made frames from real tortoiseshell or buffalo horn. 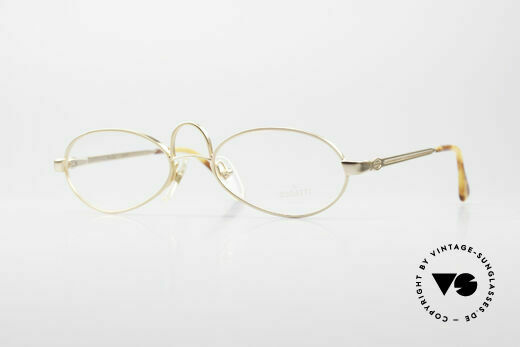 As no two pairs of glasses were alike, these natural materials were extremely popular. Each natural material has an individual grain which makes the Bugatti horn glasses so special. Bugatti later launched leather sunglasses which were also unique in their design. Even ivory sunglasses were part of the Bugatti collection, although it should be mentioned that these were only frames in ivory look. In the 1980s, Bugatti expanded its range with clip-on sunglasses, which were glasses with a sun clip. These models could be worn as prescription glasses as well as sunglasses. Bugatti also offered sunglasses with interchangeable lenses, making Bugatti sunglasses not only a fashion accessory, but an integral part of the optician industry. But not only special materials or finishes such as gold-plated frames made the old Bugatti sunglasses coveted collectors' items. The collector's status is also due to the elaborate frame details. In some Bugatti models, for example, the bridge is shaped like an old leaf spring; other models have a striking red Bugatti logo on the temples which immediately connects them to the luxury sports cars. It is also the association with the luxury car bodies that rounds off the success of the Bugatti sunglasses collection, as Bugatti's stylish and cultivated image cannot be created in any factory. This is still a unique selling point of Bugatti. The French luxury brand didn´t focus exclusively on sensationally strong and ostentatious cars. 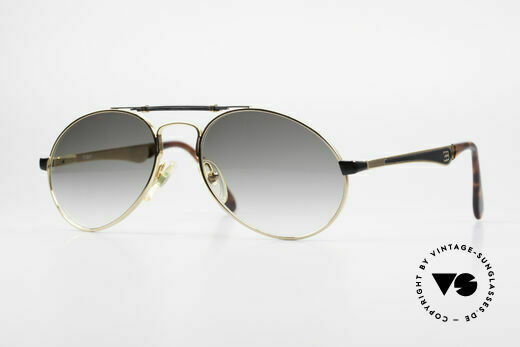 In one of the great decades of eyewear fashion, the 1980's, Bugatti created sunglasses with their own interpretation of the tear drop shape. NO RETRO specs, but a precious old original; vertu! black-golden frame, ultra-rare, just precious! NO simple retro sunglasses - but 80's Original! NO RETRO, but a precious old ORIGINAL from 1995! NO retro, but a collector's item from the early 1980's! NO RETRO shades, but an old original frame! sun lenses with a brown-gradient tint; 100% UV prot. NO RETRO, but a valuable old ORIGINAL from 1988! 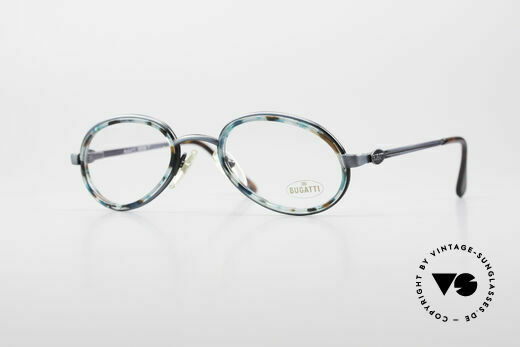 silver finish with tricolored gradient lenses!